I brought this book in a little bookshop while I was on holiday in Cornwall and started reading it straight away and by the end of my holiday (a week later) I was finished. To quote Emma Watson, I couldn't put the bloody thing down! I was reading it in the car travelling, on the beach, in the caravan, basically any time I could it was that good! The book is set in a futuristic setting where humanity has tried to start again and in the process reverted to Medieval setting, although this isn't directly mentioned and only through Johansen mentioning modern day things that we find out. However I really like the setting for this book as it has the same feel as many other fantasy books I have read but still being accessible to me. The book is written in the third person narrative allowing us to feel like we are watching what is happening rather than being directly involved. For me I felt like I was one of the Queen's Guard watching what was happening to the other people around me which I found refreshing. 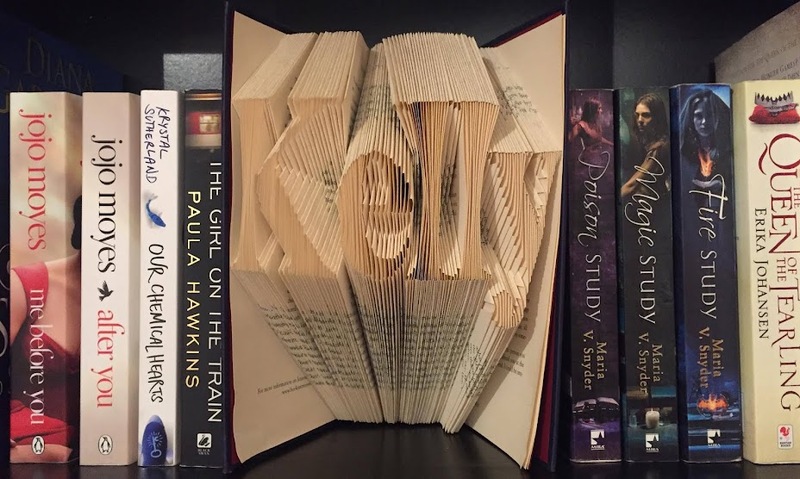 Although the book is written in third person, the book is written from Kelsea's side so you find that you are rooting for her and the people trying to help her and hating the people trying to destroy her, leading to you having more fondness for Kelsea and the Queen's Guards than anyone else. The character I found most accessible was Kelsea. I saw a lot of myself in her, she is 19, loves books, has brown hair and is a little chubby. I often found myself agreeing with her decisions and thinking I would do the same thing. The story line is fiction but with elements of non fiction mingled in through the use of modern day items being mentioned, allowing me to relate more to the plot. For me it felt like I was glimpsing into an idealistic future from the past they mention in the book. One thing that separates Erika Johansen from the other authors I tend to read, is that she is very direct and almost brutal in her description. Some people might even call her sadistic in the issues she mentions and her language choice in the book. If this were a movie, I am positive it would have an certificate 18 maybe certificate 15 at a push. I don't recommend anyone under the age of 15 read this book purely for some of its content. However despite her controversial style of description and language, I found it refreshing to read an "uncensored" book if you will. Johansen knows that these issues are real in today's society and wants to convey that to her readers making the story line as realistic as it can be and genuine. Overall I would thoroughly recommend this book to anyone over the age of 15 and that can handle the issues talked about in this book as it was a very enjoyable and easy read.